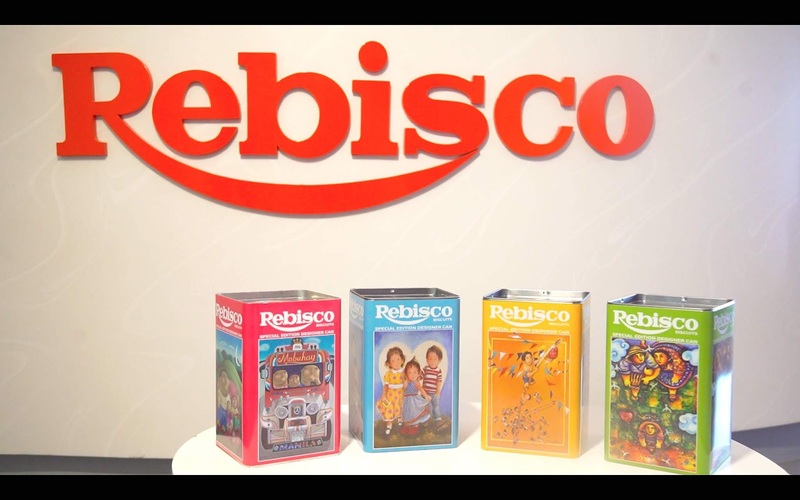 Rebisco, the homegrown snack maker marks another milestone as it celebrates 55 years in the business and in the hearts and homes of Filipinos, here and abroad. The well-loved Filipino snack brand has become our go-to choice for baon, for merienda, as pasalubong or simply as a comfort food. Agree?? As Rebisco celebrates its 55th anniversary as a well-loved brand, they take their classic tin can to a whole new level by collaborating with 4 renowned local contemporary artists; namely Migs Villanueva, Roel Obemio, Aris Bagtas, and Joseph Bañez; for the newest Rebisco Special Edition Designer Cans! The Rebisco Assorted Biscuit Tin Can have been a part of Filipino families’ homes for many years now. It has been a witness to the evolution of Filipino culture and tradition while continuing to be a Pinoy favorite that stands the test of time. Using the can, Rebisco thru the artists recreated a shareable masterpiece that captures the culture and tradition that Rebisco has helped shape over the years. This project’s new masterpieces are featured on the tin can’s outer packaging. Rebisco launches the new special edition designer can series, featuring the artworks of 4 local artists. These miniature versions are designed to show how Rebisco is intertwined with the Filipino story, as captured in food practices and traditions illustrated by four highly acclaimed artists. The red can showcases the paintings made by Roel Obemio. The blue can showcases the paintings made by Migs Villanueva, yellow can showcases the paintings made by Joseph Bañez and the green can showcase the paintings made by Aris Bagtas. There are four sets of special edition designer cans, and inside are assorted premium biscuits, crackers, cookies and wafers – all-time favorites that people love to snack on and share. Retailing for php175.00 SRP, these are now available at leading supermarkets nationwide, namely Robinsons, Puregold, Waltermart, Rustans, Shopwise and you can also buy online via www.honestbee.ph.